Mariel Barreras has a flock of chick crazy boys. It started with a fly-by-night idea about teaching about birds. Mariel and her husband noticed too many Craigslist and Humane Society postings for chickens after they grew out of that cute baby stage. 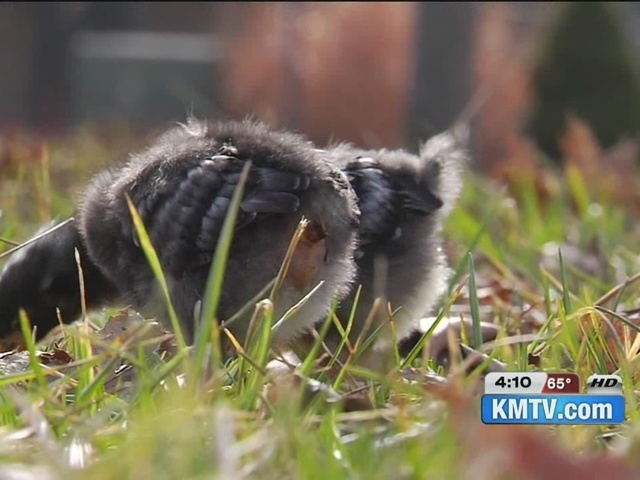 "We're trying to alleviate the abandonment of the chickens," she said. The light bulb went off. They bought a farm, and rent a pair of baby chicks for one week for just $25.00. They come with a box to live, feed for the week, and instructions. At the end of the week, the chicks get returned them to the farm. To date, the flock has grown to dozens of birds, making Barreras both the chicken lady and the egg lady. "We raise them, because we sell chicken eggs. So everybody that participates in the program gets a certificate for a dozens free eggs." For more information on the Barreras family farm, visit facebook.com/barrerasfamilyfarm .